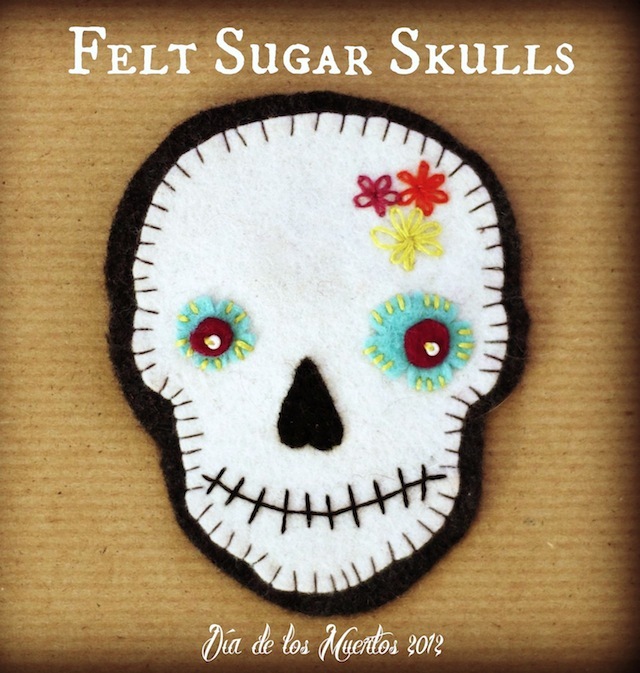 A non~sugary craft to celebrate Dia del los Muertos (Day of the Dead). This is a wonderfully open ended project and I encourage you and your kids to search google images for inspiration! Cut out your white skull and sew (or glue) on all of the decorative pieces. Cut out a slightly larger black piece and attach it to the back for a finished look. What to do with your sugar skulls? * Make one for each loved one and hang them as a memorial banner. How are you celebrating the day?